I am a big fan of The Lord of the Rings and The Hobbit, by J. R. R. Tolkien. 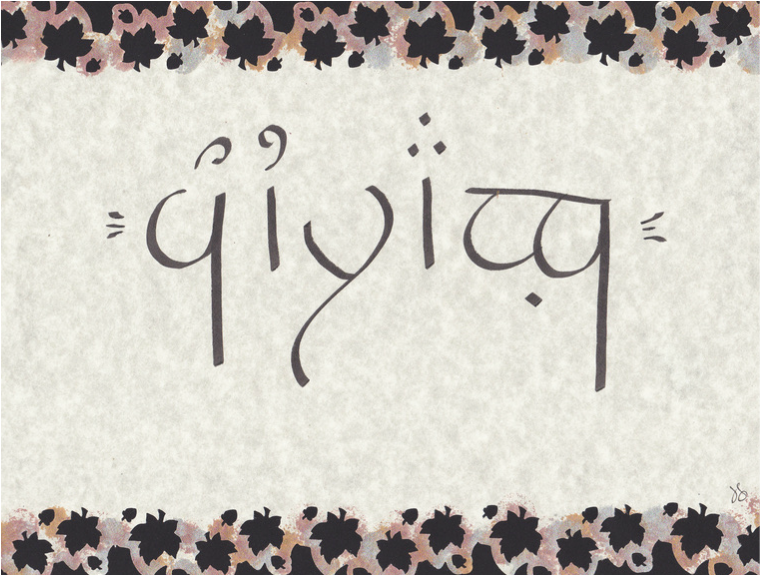 So, I had the crazy idea that I wanted to learn to write in Elvish. It turns out, not too many people do that! 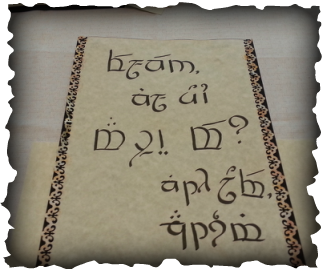 If you are a fan, and want your name or a phrase written in Elvish, I can do that for you! Your order will look similar to the example to the left. "Courage" written in Quenyan Tengwar, direct transcription on parchment, punched and hand painted border, mounted on black cardstock. Please note, there are many styles of Elvish. This is the style I am currently using. Add $3.00 for additional word. Phrases available upon request for additional cost. Contact me using the form below. 1. Fill out the contact box below. 2. In the comment section, enter the name or phrase you wish to purchase. 4. Review your order carefully and pay.